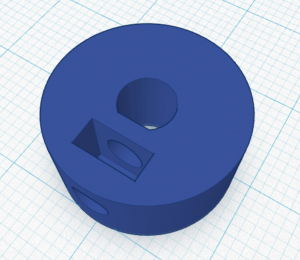 While preparing to print an enclosure for an IoT device (that a colleague designed) , I realized I need to think more about how I orient (and design) objects to reduce print time. More and more, my prints are taking 8+ hours to print…and anyone that has 3D printed a lot of objects knows that time is not your friend. 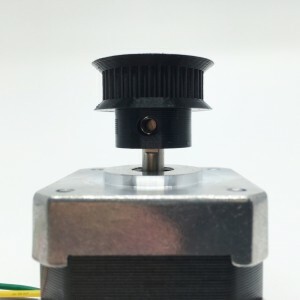 The more time it takes to 3D print, the greater the chance that something goes wrong with your print. NOTE: Ideally, objects are modeled to reduce or eliminate support, but sometimes it is unavoidable. 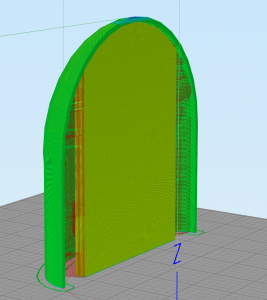 My initial thought was to print the model right side up, but as illulstrated in the image below, it will require a lot of support material (in the image, the support material is yellowish-green and the model is green, the print bed is gray). I turned off the support and sliced again to calculate the time allocated to print the support material. 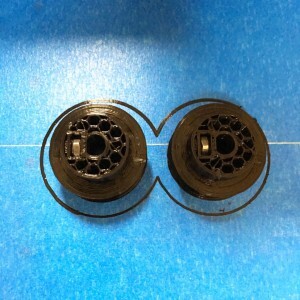 This orientation will take 6 hours and 22 minutes to print with support, with 2 hours and 23 minutes of the time to print the support structure. Looking at all the support required, I thought about printing by laying the model down on its front. It seemed it might reduce the amount of support required, but turns out it requires more support! I turned off the support and sliced again to calculate the time allocated to print the support material. This orientation will take 9 hours and 9 minutes to print with support, with over half of that time, 5 hours and 41 minutes of the time to print the support structure. Realizing that the back of the model might reduce the amount of support required (as compared to to the front), I flipped the model on its back. This did reduce the support required, however, on the negative side, it will leave a lot of area on the outside of the model where support blemishes may result. 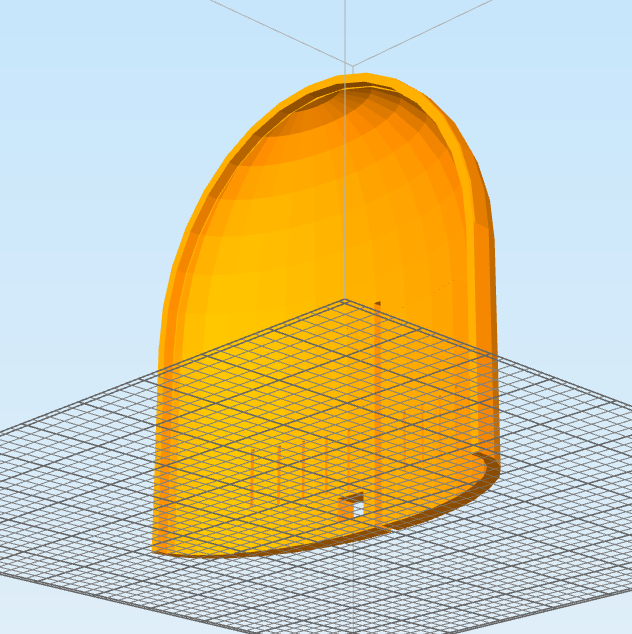 I turned off the support and sliced again to calculate the time allocated to print the support material. This orientation will take 5 hours and 22 minutes to print with support, with only 1 hour and 56 minutes of the time to print the support structure. And finally, although the last position to strike me, I tried to flip the original model upside down. Upon thinking about this, I realized this might have the least amount of support required. And was confirmed upon slicing. I turned off the support and sliced again to calculate the time allocated to print the support material. This orientation will take 4 hours and 13 minutes to print with support, with 47 minutes of that time to print the support structure. But, I also know that a raft will be required to keep this model upright while printing due to the small footprint on the build plate. 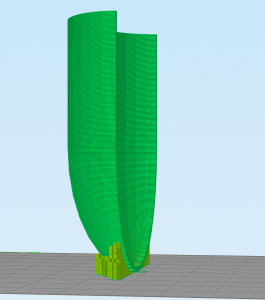 Without a raft, it is likely that the model would get knocked down during printing as it grew in height. 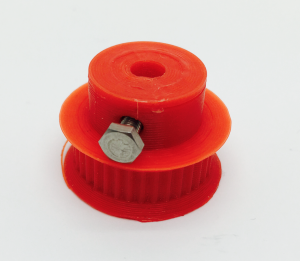 The raft adds 31 minutes to the overall print, resulting in the lowest realistic print time of 4 hours and 44 minutes to print with support, with just 47 minutes of that time to print the support structure and 31 minutes of that time to print the raft. The table below breaks down the print time for the different orientations. 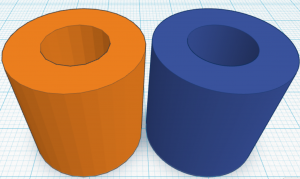 The different orientations don’t make a huge difference in time to print the model, and for this example, can result in as much as a 43 minute reduction in time to just print the object. 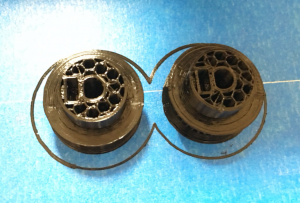 However, the orientation has an enormous impact on the time it takes to print the support structure, and for this example, can reduce support print time by almost 1.5 hours! 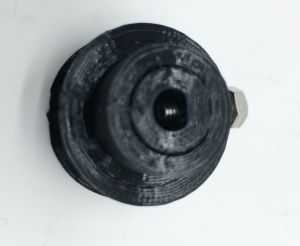 And we see that certain orientations require a raft in order to ensure the object will not break away from the printer bed during the print, which adds 31 minutes for this example. It was interesting to break down the print time to show where the time is allocated to gain a better understanding of the impact on orientation while printing, but ultimately, all that matters is how long overall it will take to print from an end-user perspective.